Along with performing daily needed general care, nursing services, and companionship, caregivers referred by Florida First Senior Home Care can offer home assistance. Deciding that your aging loved one will live at home isn’t only about maintaining the health of your loved one, it involves maintaining the health of the home. 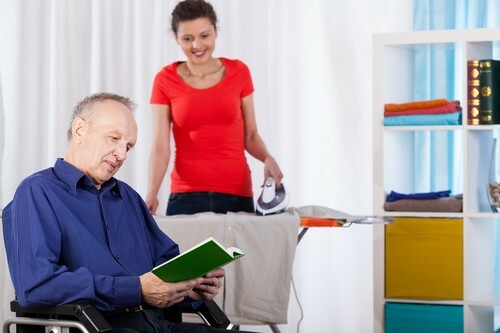 Aging and special need individuals will often struggle with things that need to be completed around the house, and some even put their health in danger by attempting to accomplish these tasks. We understand that you may not be able to keep up with the maintenance both your residence and the residence of your aging loved one. Your aging loved one wants home care to be in the comfort of their home, but a residence that is not maintained is not comforting. Caregivers can provide a number of different homemaking services that help to maintain the functionality and comfort of your loved one’s home. Need a caregiver that not only provides general, nursing, and companionship services but also offers help with household chores and the oversight of daily activities? Florida First Senior Home Care can refer you to a caregiver that is certified, trained, and experienced so that any task that needs to be completed for your loved one is performed in a professional and compassionate manner. Aging at home is possible with home care and allows your loved one to remain where they want to be; in their well-maintained home.